55719The Zyra is a fully adjustable, contemporary ..
73731Slimline bulkhead with microwave sensor, this..
73737Emergency slimline bulkhead with microwave se..
73732Slimline bulkhead with microwave sensor, this..
73738Emergency slimline bulkhead with microwave se..
73733Slimline bulkhead with microwave sensor, this..
73739Emergency slimline bulkhead with microwave se..
73734Slimline bulkhead with microwave sensor, this..
73740Emergency slimline bulkhead with microwave se..
61761The Luik is a new and improved robust slimlin..
73735Slimline bulkhead with microwave sensor, this..
73741Emergency slimline bulkhead with microwave se..
61762The Luik is a new and improved robust slimlin..
73736Slimline bulkhead with microwave sensor, this..
73742Emergency slimline bulkhead with microwave se..
69234The Luik is a new and improved robust slimlin..
69235The Luik is a new and improved robust slimlin..
69236The Luik is a new and improved robust slimlin..
69237The Luik is a new and improved robust slimlin..
69238The Luik is a new and improved robust slimlin..
69239The Luik is a new and improved robust slimlin..
73743Slimline bulkhead with microwave sensor, this..
73746Emergency slimline bulkhead with microwave se..
73744Slimline bulkhead with microwave sensor, this..
73747Emergency slimline bulkhead with microwave se..
73745Slimline bulkhead with microwave sensor, this..
73748Emergency slimline bulkhead with microwave se..
74399The Sirio Daylight Harvesting panel automatic..
74400A direct replacement for a 4 x 18W (T8) fluor..
74401A direct replacement for a 4 x 18W (T8) fluor..
61671Budget LED bulkhead with weatherproof conduit..
59995The Borde is an LED replacement for one of ou..
59996The Borde is an LED replacement for one of ou..
52329A mains voltage fixed downlight, finished in ..
52331A mains voltage halogen fixed downlighter, fi..
52330A mains voltage fixed downlight, finished in ..
52332A mains voltage halogen downlight with a tilt..
52334A mains voltage halogen downlight with a tilt..
52333A mains voltage halogen downlight with a tilt..
61400The round Corden is a mains LED bulkhead with..
67360The Cove is an SMD LED ground light, replacin..
70472The Cyclo is a self-contained emergency fitti..
61508The Defender is a cost effective LED, adjusta..
OL60ABThe Eco light is an incredibly cost effectiv..
69821The Genoa bulkhead contains the latest in LED..
69819The Genoa bulkhead contains the latest in LED..
10707The Gulf is a fully boxed powder coated reces..
67361The Hayz LED guide light is manufactured from..
50006Our Heatguard range allow you to use recessed..
50005Our Heatguard range allow you to use recessed..
FH150Our Heatguard range allow you to use recessed..
13890The Ikon Round LED has a contemporary IP67 wa..
13889The Ikon Round LED has a contemporary IP67 wa..
59136The Ikon Pro extends the Ikon recessed deckin..
59131The Ikon Pro extends the Ikon recessed deckin..
59137The Ikon Pro extends the Ikon recessed deckin..
70658The Ikon Pro extends the Ikon recessed deckin..
59135The Ikon Pro extends the Ikon recessed deckin..
59132The Ikon Pro extends the Ikon recessed deckin..
70659The Ikon Pro extends the Ikon recessed deckin..
59138The Ikon Pro extends the Ikon recessed deckin..
61280The Kempton is a half moon, exterior wall fit..
61344The Kempton is a half moon, exterior wall fit..
14007Emergency recessed downlight. A complete and ..
68805The Laryn is a versatile, outdoor LED spotlig..
54409The Laryn is a twin, versatile, outdoor LED s..
68806The Laryn is a twin versatile outdoor LED spo..
66790The LED anti corrosive batten range is the pe..
60830This LED anti corrosive batten is the perfect..
66793The LED anti corrosive batten range is the pe..
60833This LED anti corrosive batten is the perfect..
66791The LED anti corrosive batten range is the pe..
60831This LED anti corrosive batten is the perfect..
66794The LED anti corrosive batten range is the pe..
60834This LED anti corrosive batten is the perfect..
66792The LED anti corrosive batten range is the pe..
60832This LED anti corrosive batten is the perfect..
66795The LED anti corrosive batten range is the pe..
60835This LED anti corrosive batten is the perfect..
67176The Lucca is a functional exterior wall light..
67177The Lucca is a functional exterior wall light..
48739The Motion security PIR bulkhead is made from..
48740The Motion security PIR bulkhead is made from..
50954The Neptune is an LED bulkhead range which of..
66955Exit left and right emergency sign accessory ..
69885 The OrbitalPlus family is a range of slimli..
69883The OrbitalPlus family is a range of slimline..
69884The OrbitalPlus family is a range of slimline..
69882The OrbitalPlus family is a range of slimline..
69880The OrbitalPlus family is a range of slimline..
69881The OrbitalPlus family is a range of slimline..
13908The Paraport is a slimline fluorescent fittin..
48869The Peake is an anti-glare downlight which is..
67346Adjustable wall PIR sensor. 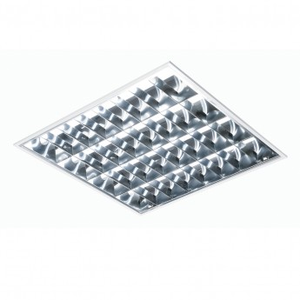 Suitable for trad..
43864Entry level energy efficient bulkhead that re..
10691Our classic T8 recessed module is made from p..
73536A direct LED replacement for twin 35W T5 fitt..
67602The Seina RGB is a colour changing bricklight..
67603The Seina RGB is a colour changing bricklight..
55690The Seran is a polycarbonate LED circular bul..
55692The Seran is a polycarbonate LED circular bul..
55689The Seran is a polycarbonate LED circular bul..
55691The Seran is a polycarbonate LED circular bul..
61211The Severus is an LED outdoor guide light con..
61214The Severus is an LED outdoor guide light con..
61220The Severus is an LED outdoor guide light con..
61218The Severus is an LED outdoor guide light con..
61219The Severus is an LED outdoor guide light con..
52184The shieldLED 400 is a COB fire rated IP65 do..
52010Small but packed full of features, the fire r..
72644The Sight 4-in-1 is a multi function maintain..
73796The Sight Box is our maintained wall mounted ..
72640Slim emergency maintained bulkhead, supplied ..
72636Reliable, robust, weatherproof and functional..
72637Reliable, robust, weatherproof and functional.. In charge of an Industrial, commercial or business property? We have a large range of lighting to fit the needs of the modern and classic business. This category is jam packed with all types of fittings, lamps and accessories. Here you can find ceiling lights, wall lights, outdoor lights and miscellaneous items such as fire exit signs, sensory lights and recessed lights. All items found in within this category are built to last; no matter the environment! They are designed and built by top end manufacturers using strong and durable material. We have seen and tested all products in this range and feel like we have created a solid amount of products for you to choose from.